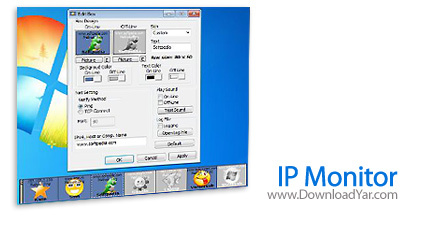 IP Monitor is a network monitoring software that allows you to verify the network connectivity of TCP/IP hosts on the Internet and LAN. The program periodically pings, or checks TCP ports on user specified computers or other network devices. You will have the possibility to assign each IP a different picture, according to your preferences.